1st or second choice candidates who seek for Federal University, Lokoja, Kogi State (FULokoja) Admission 2019/2020 should see requirements, Application Process and be Ready for the Unified Tertiary Matriculation Examination. VERY IMPORTANT: The Federal University, Lokoja, Kogi State (FULokoja) Post UTME Admission Form for the 2019/2020 is not available at the moment…we will advice that you to stick around or better bookmark this very page once the FULokoja Post UTME Admission Form 2019 is out this page will be updated immediately. While waiting for the Federal University, Lokoja, Kogi State (FULokoja) Post UTME Admission Form/DE Screening Exercise for the 2019/2020 see how it was conducted previously. Candidates Eligible for FULOKOJA Post UTME. Candidates who chose FULOKOJA in the 2019 Universities Tertiary Matriculation Examination (UTME) and scored 180 or above for screening. 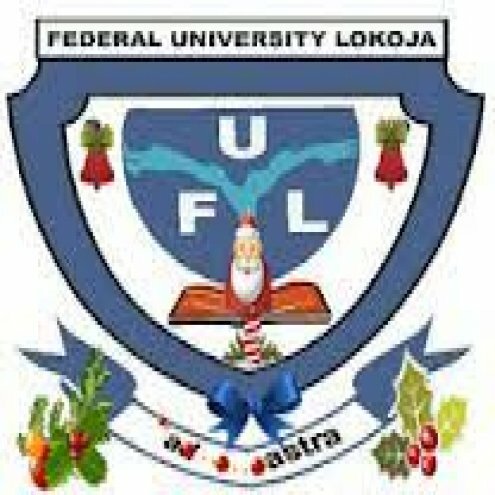 Federal University Lokoja requires all candidates applying for admission into any of its courses to possess five credit “O” level passes. Candidates who wish to apply for a change of course on the JAMB e-Facility Portal to any of the above courses should do so before Wednesday 20th September, 2017. How to Apply for FULOKOJA Post UTME. Candidates must have a valid personal e-mail address before starting the application process. Click on Admissions, then select 2017/2018 admission portal. Login with your valid JAMB Registration number to confirm eligibility. Update your personal details, number of O’Level examination sitting and O’Level Result. NOTE: Upload a RECENT and CLEAR COLOUR PASSPORT PHOTOGRAPH WITH RED BACKGROUND IN JPEG FORMAT ONLY. The photograph uploaded will be the only valid ID for all admitted candidates throughout their stay in the Federal University Lokoja. FAILURE TO UPLOAD THE PASSPORT PHOTOGRAPH WILL LEAD TO DISQUALIFICATION. Select your Post UTME subject combination. Proceed to any bank of your choice that offers REMITA services with your printed invoice and process your payment with your generated RRR. Visit www.remita.net, click on Pay an Electronic Invoice, enter your RRR and process your payment with your ATM card. Return to the University Admission Portal and confirm your payment after which you will be automatically batched for the screening exercise. Original copy of JAMB Result Slip. Candidates must possess five (5) O’ Level credits in subjects relevant to their desired course of study at not more than two sittings. Credit in English Language is compulsory for admission into all courses in Federal University Lokoja. Please visit the University website for the O’Level & UTME entry requirements for courses offered in Federal University Lokoja. ONLINE REGISTRATION CLOSES AT MIDNIGHT on Friday 29th September, 2017 by 12 noon.. Candidates who pay after the deadline will not participate in the screening. Candidates are expected to adhere strictly to the specified date and time on the screening slip. Thank you so much for taking a Tour on this post (Federal University, Lokoja, Kogi State (FULokoja), post utme admission form 2019/2020 academic session) we have take time to officially dish out Top Information and Now it’s turn to show us a little gratitude. Help us spread the information by making use of the sharing button Below, and don’t forget to subscribe to get great News and other Information, we wish you success in all your endeavors…Stick around for more Info.